Matthew Quay was elected to the U.S. Senate as a Republican from Pennsylvania, serving from 1887 until 1899, and again from 1901 to 1904 when he died. With Donald Trump and Hillary Clinton each vying to win Pennsylvania in November, all eyes are on that state in terms of the presidency. But there is a contested Senate race in 2016 this year pitting Pat Toomey, a 1st term conservative Republican incumbent against Katie McGinty, a well-connected Democratic Party challenger; at the moment they are locked in a virtual tie. What is striking about this year’s Senate race in Pennsylvania is how much it shares in common with a Senate election held more than 100 years ago, when U.S. Senators were elected in state legislatures. It was not until 1913, with the ratification of the Seventeenth Amendment, that voters got the opportunity to directly elect their U.S. Senators. At the turn of the twentieth century, Pennsylvania politics was dominated by the statewide Republican Party; for that entire period, every politician seeking higher office had to pass through the party filter in order to be successful. Modern Pennsylvania politics is much more competitive however, with Democrats often winning statewide office and Congressional races. This fact, along with the advent of the direct election of U.S. Senators, has changed the political calculus of senators from the Keystone State who now must appeal to a broader constituency rather than a single dominant party. In the discussion that follows, Cory Manento and I analyze incumbent Pennsylvania Republican Senator Pat Toomey’s electoral career as it compares to one of Pennsylvania’s most famous U.S. Senators from the past, Matthew Quay. Even though more than 100 years separates these two U.S. Senators, they each overcame political defeat, intraparty conflict, and managed to establish a reputation for serving their states albeit in very different ways. Pennsylvania Senator Pat Toomey (R) had almost zero political experience when he ran successfully for the House of Representatives in 1998, but it was his passion for fiscal conservatism and the “watershed” 1994 elections that inspired him to enter politics. One might expect Toomey to be a Democrat based on his background – he was born to union-worker Democratic parents in Providence, Rhode Island – but rather than being shaped by his childhood, his political ideology was shaped by his career as a Wall Street investment banker, which he began soon after graduating from Harvard. It was in the banking industry that Toomey learned to oppose government regulations on the private sector and support an unfettered free market with low taxes. In 1990, Toomey moved to Allentown, Pennsylvania and opened up a restaurant with his siblings. He decided to enter politics in 1994 and served on the local Government Study Commission, leaving his mark by making it more difficult to raise local taxes. Sensing an opportunity, Toomey set his eyes on the open House of Representatives seat in his district in 1998. The seat, in Pennsylvania’s 15th Congressional District, was previously held by Democrat Paul McHale. By running on an anti-regulation agenda Toomey was able to win the support of the business community, which provided perhaps the decisive assistance his campaign required to win the six-candidate Republican House primary. He went on to win the general election easily, and served three terms in the House. During his House tenure, Toomey (unsurprisingly) developed a reputation for fiscal conservatism. He served from 1999 to January 2005, making good on his campaign pledge to serve only three terms. But serving three terms did not mean the end of Toomey’s political aspirations. While still a House member, but knowing he would be leaving, Toomey challenged long-serving moderate Republican U.S. Senator Arlen Specter in the 2004 Republican Senate primary. Considered by many a long-shot candidate, Toomey cast Specter as too liberal and surprised observers by coming within two percentage points of unseating the senator. Toomey’s 2004 primary bid was seen by some as a prelude to the conservative Tea Party – a faction within the Republican Party – and its electoral success in 2010. Indeed, when Specter was again up for reelection in 2010, another Toomey challenge loomed. Rather than risk losing by again being portrayed as a liberal Republican, Specter decided to change parties. He eventually lost the Democratic primary anyway, while Toomey handily won the Republican primary. In the general election, Toomey was one of the most visible candidates in the Tea Party movement, railing against deficit spending, calling for extending the Bush Tax Cuts, and bemoaning the size of the national debt. He again won support from the business community and fiscally conservative political action committees (PACs), including the Club for Growth, which he led from 2005 to 2009. Toomey defeated Democratic Congressman Joe Sestak with 51 percent of the vote. Prior to becoming a U.S. Senator, Toomey relished his “outsider” status and used it to his advantage as he criticized – and defeated – the “establishment.” But Senator Toomey has undoubtedly shifted away from his outsider status and revealed a pragmatic understanding of his electoral prospects. He did not join the Senate Republicans’ Tea Party Caucus in 2011 despite running as a Tea Party candidate, for instance. He also has proven to be a moderate on some social issues like LGBT rights, and has pushed for expanded background checks for gun sales. One particularly revealing way to illustrate Toomey’s pragmatism is to compare measures of his voting record in the House of Representatives to his voting record in the Senate. In the 108th Congress (2003-2005), Toomey was in the 94th percentile for conservatism among House Republicans. When he became a senator, he dropped to the 57th percentile for conservatism among Senate Republicans. This reflects Toomey’s understanding of his constituency. He was able to be a more conservative Republican in the House because his constituency was more narrow and homogenous. His district was also relatively “safe,” as he won his three elections by 10, 8, and 14 percentage points, respectively. Pennsylvania, however, is considered a swing state that has voted Democratic in every presidential election since 1988, and its other senator is Democrat Bob Casey Jr. So it is clear that Toomey has needed to be pragmatic and broaden his appeal to voters that might not be as conservative as the voters that elected him to the House. Toomey’s challenger, Democrat Katie McGinty, is doing her best to associate him with the national Republican Party. McGinty is a former state and federal environmental official who was the Democratic establishment’s choice to challenge Toomey. In the Democratic Senate primary, she defeated second-time Senate candidate Joe Sestak and other rivals with the help of millions in funding from the party and endorsements from President Obama and other Democrats. In the general election, McGinty has tried to cast Toomey as another national Republican who is out of step with most Americans on issues like health care and guns. Toomey has raised a significant amount of money in an attempt to counter that image. So far in the 2016 campaign, Toomey has raised nearly $23 million, while spending $15 million of that total, leaving about $8 million remaining in cash on hand. His top contributor (as it was in 2010) is the Club for Growth, and the vast majority of contributors to his campaign are financial institutions. Katie McGinty has raised $6.7 million and spent $4.3 million to date. Toomey has outspent McGinty by more than three to one thus far but is currently tied with her (within the margin of error) according to recent polls. Despite Toomey’s best efforts, intraparty factionalism could potentially hurt him in the general election, especially as it relates the 2016 presidential election. Undoubtedly aware of Donald Trump’s poor favorability ratings with general election voters, Toomey has publicly distanced himself from the Republican presidential nominee, did not attend the Republican Party nominating convention in Cleveland, and refrained from offering a clear endorsement. Instead, he only seems willing to say that he is “inclined” to support Trump, but at the same time lamented that Trump’s “vulgarity, particularly toward women, is appalling.” While his 2010 campaign and his Senate career have thus far shown his ability to appeal to both conservative and moderate voters, Toomey risks alienating Trump supporters after Trump handily won the Pennsylvania Presidential primary in April. This factionalism within the Republican Party makes the general election doubly difficult on Toomey, as he must find a way to unite Republicans behind him in his effort to defeat Katie McGinty. Pennsylvania Republican Matthew Quay entered politics prior to the Civil War, serving as a state representative. After fighting in the war, Quay reentered state politics and began to make a name for himself in the state’s dominant Republican Party. From 1872 to 1882, Quay served as U.S. Senator Simon Cameron’s political lieutenant. Cameron had built the Pennsylvania Republican political machine through political patronage, guaranteeing loyal party activists jobs in return for political support, and Quay was widely regarded as his heir apparent. As a leader of the Republican machine and eventually as Senator, Quay was forced to contend with factionalism within his own party. One of his tasks as a party leader was to organize support for the machine’s preferred candidates in the U.S. Senate elections which were decided by state legislatures. In the 1881 U.S. Senate election, Quay’s job was to coalesce support behind the Republican machine’s preferred candidate, William Wallace. Republicans from the northern and western parts of the state, known as “bolters,” instead threw their support behind two other Republican candidates. Under the indirect system of elections, each chamber of the state legislature met separately at the beginning of their legislative session to vote for senator; a candidate who received a majority in each chamber was declared the winner. If no candidate received a majority, the two chambers would meet jointly and vote until a winner was chosen or they adjourned for the year. In this case, the election lasted from January 19 to February 23, and took thirty-five joint session ballots to resolve. On February 22, a subset of elite Republicans from both factions met and agreed to coalesce behind a compromise candidate, John Mitchell, and he was elected the next day. Later that week, an article in the New York Times revealed that Mitchell had closer ties to the Cameron machine than had been previously thought. Although Quay was unable to build a winning coalition for William Wallace, he was ultimately able to keep the seat in Republican hands with an alternate member of the Cameron machine. Quay’s role in the party machine had continued to grow after the 1881 standoff, and he soon came to be recognized as its leader. 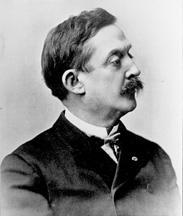 A prolific fundraiser, Quay is credited with saying that politics was “the art of taking money from the few and votes from the many under the pretext of protecting the one from the other.” Quay himself won election to the U.S. Senate in 1887 and served while maintaining a position of power in the statewide machine. The day after the legislature adjourned, Governor William A. Stone appointed Quay to fill the vacancy in the Senate caused by the deadlocked election. The U.S. Senate, however, quickly voted to deny Quay the seat due to the obviously dubious circumstances of his appointment. However, just as Pat Toomey ran for Senate again after losing to Specter in the primary, Quay returned in 1901 to run for the Senate seat that had been vacant since 1899. This time he successfully overcame party factionalism and won the election; Quay served as senator until his death in 1904. It is clear, though, that Toomey and Quay share a different kind of electoral pragmatism. In the age of indirect elections and party machines, politicians needed to have party ties to wield power (which Quay clearly did) in order to be successful. In the modern age of direct elections, partisan polarization runs very deep, but 2016 is showing that individual senators must still be responsive to voter preferences and constituent interests in their home state. Even with the political differences between then and now, Republican Party factionalism still threatens the reelection of a U.S. Senator from Pennsylvania just as it did over 100 years ago. Though it bears remembering that the factionalism surrounding Quay was partly the result of his own corrupt actions, the circumstances surrounding Quay and Toomey serve as a reminder that party cohesiveness can be just as important to maintaining power as the institutional arrangement of elections. Wendy J. Schiller and Charles Stewart III, Electing the Senate: Indirect Democracy before the Seventeenth Amendment (Princeton: Princeton University Press, 2014), 80. CSPAN, “Representative-Elect Pat Toomey” 1998 Washington Journal. Accessed on June 28, 2016 at http://www.c-span.org/video/?c4421922/rep-elect-pat-toomey. Patrick Kerkstra, “Pat Toomey is Surprisingly Moderate,” Philadelphia Magazine, July 26, 2012. Accessed on June 28, 2016 at http://www.phillymag.com/articles/surprisingly-moderate-pat-toomey/?all=1. Gregory Lewis McNamee, “Pat Toomey: United States Senator,” Encyclopedia Brittanica. Accessed on June 28, 2016 at http://www.britannica.com/biography/Pat-Toomey. Brooks Jackson and Stuart Rothenberg, “Toomey takes Pennsylvania’s 15th District for GOP,” CNN, November 3, 1998. Accessed on June 28, 2016 at http://www.cnn.com/ALLPOLITICS/stories/1998/11/03/election/house/pennsylvania.cd15/. Manu Raju, “Specter’s Future Rests with Toomey,” Politico, December 10, 2008. Accessed on June 28, 2016 at http://www.politico.com/story/2008/12/specters-future-rests-with-toomey-016387. Thomas Fitzgerald, “How Pat Toomey Outpaced Joe Sestak – and his own Campaign’s Expectations,” Philadelphia Inquirer, November 4, 2010. Accessed on June 28, 2016 at http://articles.philly.com/2010-11-04/news/24953233_1_toomey-campaign-manager-pat-toomey-democratic-victories. “Club for Growth” Accessed on June 28, 2016 at https://www.opensecrets.org/orgs/recips.php?id=D000000763&type=P&state=&sort=A&cycle=2010. Toomey received more than twice as many funds from the Club for Growth than any other Senate or House candidate in the 2010 cycle. John Baer, “Toomey’s Trouble isn’t Guns” Philadelphia Inquirer June 21, 2016. Accessed on June 28, 2016 at http://articles.philly.com/2016-06-21/news/73903763_1_pat-toomey-mass-shootings-guns. Toomey for Senate, Senator Toomey – A Record of Leadership. Accessed on June 28, 2016 at https://www.toomeyforsenate.com/about_pat . Harry Enten, “Conservatives in the House, then Moderates in the Senate,” FiveThirtyEight January 9, 2015. Accessed on June 28, 2016 at http://fivethirtyeight.com/datalab/conservatives-in-the-house-then-moderates-in-the-senate/. “Pennsylvania Election Returns.” Accessed on June 28, 2016 at http://www.electionreturns.state.pa.us/ENR_New/General/CountyResults?countyName=LEHIGH&ElectionID=9&ElectionType=G&IsActive=0. “Senator Pat Toomey.” Accessed on June 28, 2016 at https://www.congress.gov/member/pat-toomey/T000461?q=%7B%22search%22%3A%5B%22toomey%22%5D%7D&resultIndex=1&pageSort=relevancy&pageSize=25. Veterans data accessed at http://www.va.gov/vetdata/veteran_population.asp on June 28, 2016. Toomey for Senate, Senator Toomey – Issues. Accessed on June 28, 2016 at https://www.toomeyforsenate.com/issues . Marc Levy, “Pennsylvania Democrats Pick Establishment’s Senate Candidate,” Associated Press, April 26, 2016. Accessed on June 28, 2016 at http://bigstory.ap.org/article/96ff050fe71a4f93991bc1fefa7fb236/pennsylvania-democrats-pick-establishments-senate-candidate. Katie McGinty for Senate – Issues. Accessed on June 28, 2016 at http://katiemcginty.com/issues/. Opensecrets, “Sen. Pat Toomey – Summary.” Accessed on June 28, 2016 at http://www.opensecrets.org/politicians/summary.php?cycle=2016&cid=N00001489&type=I. Opensecrets, “Summary Data: 2016 Race: Pennsylvania Senate.” Accessed on August 4, 2016 at http://www.opensecrets.org/races/summary.php?id=PAS1&cycle=2016; Laura Olson and J. Dale Shoemaker. “Pat Toomey walks ‘tightrope’ when it comes to responding to Trump’s remarks.” The Morning Call. August 4, 2016. Accessed at http://www.mcall.com/news/local/elections/mc-pa-toomey-trump-20160802-story.html. John Baer, “Sen. Toomey Straddles Fence on Trump Endorsement,” The Morning Call, May 11, 2016. Accessed on June 28, 2016 at http://www.mcall.com/opinion/mc-donald-trump-pat-toomey-yv-0512-20160511-story.html. Schiller and Stewart, Electing the Senate, 81. James A. Kehl, Boss Rule in the Gilded Age: Matt Quay of Pennsylvania (Pittsburgh: University of Pittsburgh Press, 1981), xiii. Schiller and Stewart, Electing the Senate, 84.